Robert N. Essick will be retiring from the University of California, Riverside, on 30 June 2004. 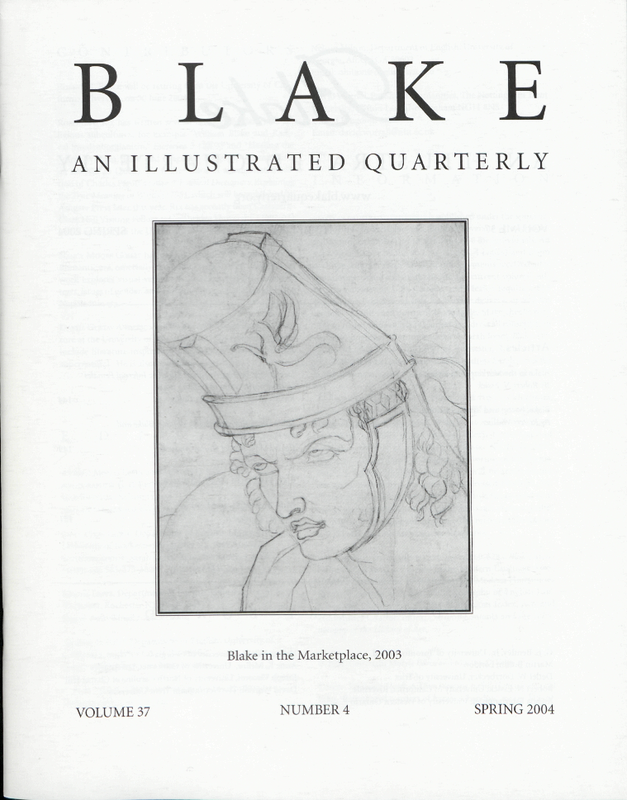 Robert W. Rix has written several articles on Blake and religious subcultures, for example “William Blake and Radical Swedenborgianism,” Esoterica 5 (2003) and “Healing the Spirit: William Blake and Magnetic Religion,” Romanticism on the Net 25 (2002). He is the editor of an annotated edition of Charles Pigott’s satire A Political Dictionary Explaining the True Meaning of Words (1795), which will be published by Ashgate Press later this year. Rix has recently been Carlsberg-Clare Hall Visiting Fellow at Cambridge University (2002-03) and is currently at the University of Copenhagen, Denmark. Nancy Moore Goslee has published widely on authors of the Romantic era, especially Blake and Percy Shelley. Her current work explores visual-verbal relationships, the materiality of texts, issues of gender, and Scottish cultural nationalism in the Napoleonic era. Daniel Gustav Anderson is a Ph.D. candidate in English literature at the University of Nevada, Reno. His research interests include literature inspired by prophecy, apocalypse, and the supernatural. He is also a published poet. Cover: Visionary Head: A Man Wearing a Tall Hat (provisional title). Reproduced courtesy of Agnew’s, London. See pp. 119-20.